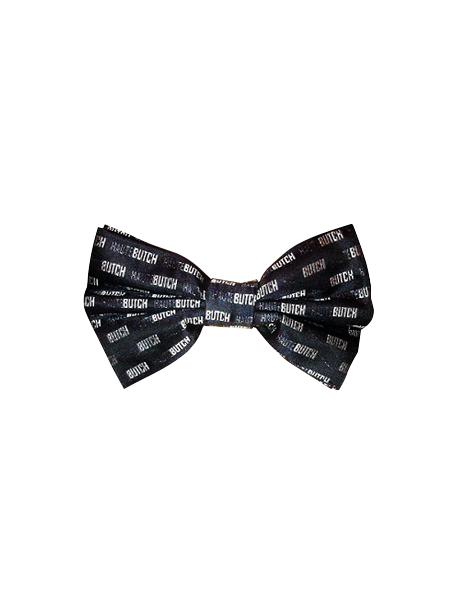 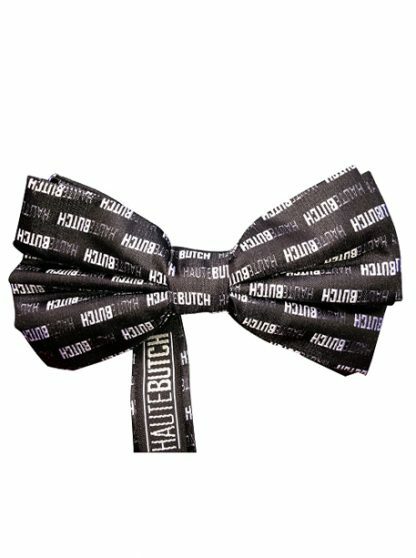 HauteButch Black Bow Tie – This handsome bow tie features our signature HauteButch logo in dapper shades of black and gray. 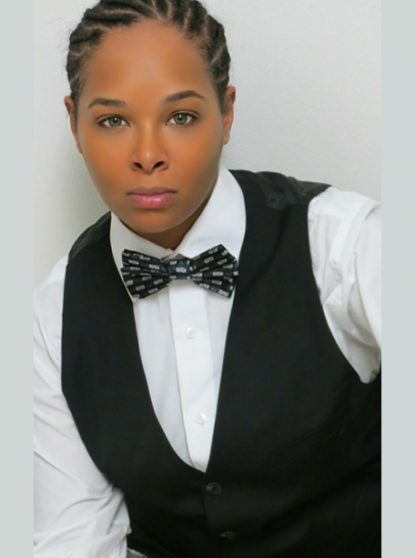 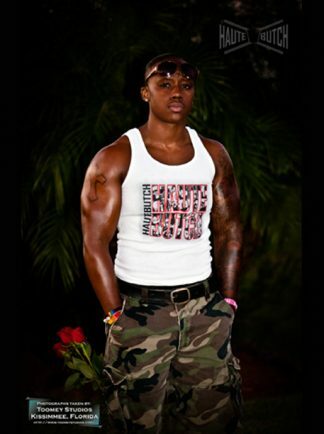 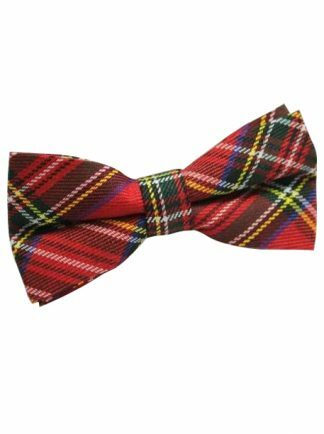 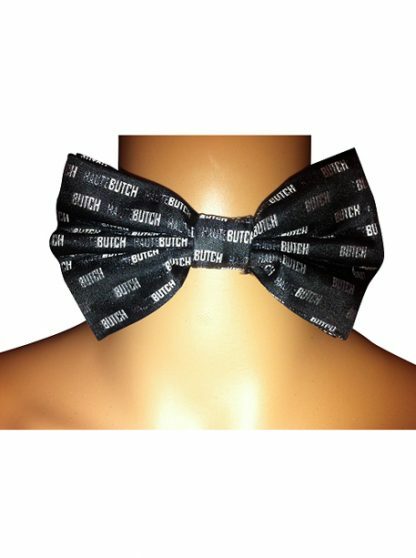 Put your butch pride on display when you wear the HauteButch Black Bow Tie with any of our dress shirts, suspenders, or snapbacks. 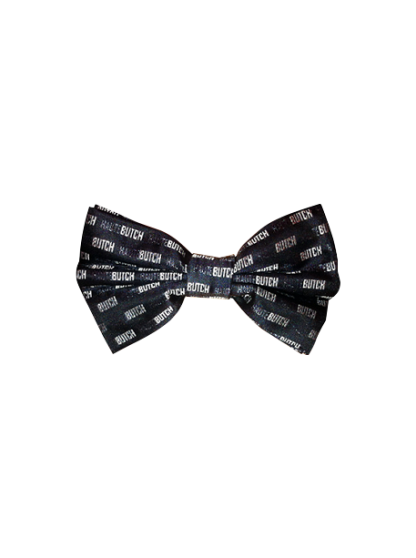 Women with style will love showing off their swagger with this fierce accessory.